I recently listened to the two songs on the B-side for the first time in ages, and they’re actually pretty good. “Hail To Thee O Christmas Tree” mocks the tradition of cutting down live trees to help celebrate the holiday, using minstrel style vocals that evoke Brave Sir Robin’s entourage in Monty Python And The Holy Grail. I dedicate this ode to my fellow Famous In The Future comedy group member Frank Carr, who calls for a ban on sacrificing live trees every Christmas. “The Christmas Roundelay,” a silly tune done up with an old-fashioned choir, helps make this 45 sound like one of those special records The Beatles used to send out to their fan club members at Christmas time. According to Wikipedia, Ryan and Baron later moved on to providing the voices for The Adventures Of Teddy Ruxpin television series. Ryan remains an active and highly successful voice over actor to this day. The fact that over half of the songs on the Yuletunes CD deal with Christmas and romance is probably due to the fact that these power pop artists are accustomed to dealing with affairs of the heart. Besides, the holidays are such an emotionally-charged time of year, it only seems natural to seek companionship. Finding love brings even more joy to your world, while losing it can be peace-on-earth-shattering. Singer-guitarist Herb Eimerman’s gorgeous ballad “You Gave Me” celebrates family traditions at Christmas, as well as the way love and values are passed on from one generation to another. The lyrics take us to a festive holiday gathering at the parents’ home where their children and grandchildren bask in “the love from this fine house.” Eimerman compares himself to a tree that has grown stronger over the years and tells his Mom and Dad, “I learned all my love from all your love you gave me.” I’ve always felt this touching song could become a seasonal favorite if it was ever given enough air play on the radio. 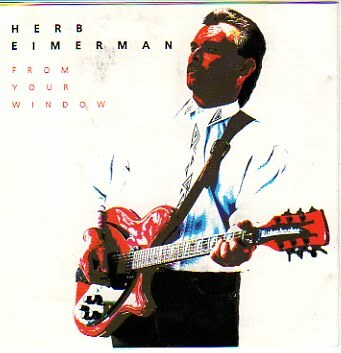 Eimerman is currently a member of The Britannicas, whose new holiday song, “Chris Hillman Christmas” can be purchased on the band’s MySpace page. The Critics uncork an irresistible energy reminiscent of The Beatles on the romantic “She Feels Like Christmas Day.” This is probably the only song on Yuletunes that would fit in just as well on a non-holiday CD, if you consider the way the band uses Christmas, and lines like, “Let me be your favorite toy” as a metaphor for the overwhelming joy of finding love. It’s a shame that Yuletunes, with its treasure chest of holiday songs, never became a big selling CD. As I mentioned in the Yuletunes - Part Two post, it’s still listed as available on The Shoes’ Black Vinyl Records website, and I would highly recommend getting a copy. 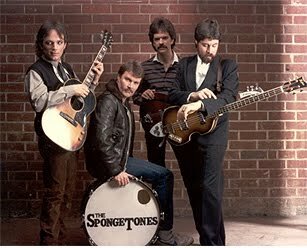 Photo from The Spongetones website. The four songs on today’s post illustrate how lead vocalist-guitarist Jeff Murphy of The Shoes couldn’t have anticipated the mixed bag he’d wind up with when he bravely asked a variety of musical artists to participate on his Christmas compilation, Yuletunes. Incidentally, this thoroughly enjoyable disc is still listed as available on the Black Vinyl Records website. “The Saddest Time Of The Year” comes from Spooner, the Wisconsin-based band that featured lead vocalist-guitarist Duke Erikson and drummer Butch Vig long before they formed Garbage with dynamic Scottish chanteuse, Shirley Manson. The haunting arrangement, and Erikson’s guitar playing in particular, make this reflection on disappointment and loneliness at Christmas even more melancholy. It’s not a song to play while exchanging gifts, but its poignant message might make you consider the plight of the less fortunate among us. The Cavedogs were a Boston band that according to Wikipedia, often mixed comedy with its catchy pop music. That’s certainly the case with “3 Wise Men And A Baby (Xmas Song),” a funny and ambitious epic that begins with a sound bite of Burl Ives’ talking snowman from the Rudolph The Red-Nosed Reindeer animated special. About halfway through, the guitar-driven song abruptly shifts into a lounge act reminiscent of the bit Bill Murray used to do on Saturday Night Live. The rollicking finale finds the band singing “alleluia” against a backdrop of George Bailey scolding his kids in It’s A Wonderful Life. The Spongetones take us to a much more tranquil place with their acoustic-based, innocent fantasy “Christmasland.” While they had shown an ability to mimic The Beatles on their own albums, here The Spongetones craft an old-fashioned Christmas tune with a delicate melody and intricately layered vocals. It was great to hear via the Absolute Powerpop blog that Spongetones members Jamie Hoover and Steve Stoeckel have just released a new CD called English Afterthought that follows in the Spongetones tradition. Listening to “A God Of My Own” by the Chicago trio 92 Degrees requires some thought since it’s a complex look at religious beliefs at what is undoubtedly the most commercial time of the year. The lyrics, “You go your way and have a Merry Christmas/I’ll go my way and have a Merry Christmas,” express a tolerant attitude that’s sometimes lacking when it comes to matters of faith. With its ringing guitars, the mid-tempo “A God Of My Own” has the British Invasion influence the band tapped into on its 1990 EP, Money Makes The World Go ‘Round. 92 Degrees would go on to record a first-rate full length debut a few years later, and the original line-up still makes the occasional live appearance to this day. Coming up in Yuletunes - Part Three: Holiday romance, holiday heartache, and family traditions. Once upon a time, before the retail industry ordained Black Friday as an extreme sports event for crazed bargain hunters, the day after Thanksgiving held significance as the official start of the Christmas season. It is in that antiquated spirit that I’m kicking off a series of posts related to holiday music. 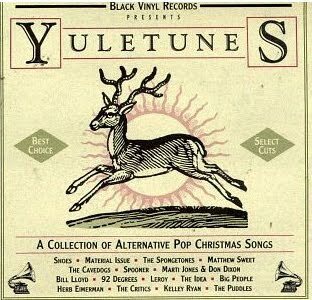 Released in 1991 on The Shoes' Black Vinyl label, Yuletunes was an ambitious collection of original Christmas songs created by various power pop artists. Matthew Sweet, who contributed “Baby Jesus,” and Marti Jones and Don Dixon, who sang a duet on “Every Day Will Be Like A Holiday,” were the biggest names involved, and there were 13 lesser known acts from the Midwest. This will be the first of three posts on this classic Christmas album. The Shoes had faded from rock’s mainstream by 1991, but “This Christmas” shows why they’ll always be revered in the power pop community. It’s a catchy rock song with a monster drum beat and chiming guitars that offers an optimistic view via harmony vocals. “Things will get better./Doesn’t seem like it now, but they always do.” Vocalist-guitarist Jeff Murphy would return to the theme of the importance of love over gifts during the holidays by having his kids sing the cute “The Christmas List” as the CD’s closing number. 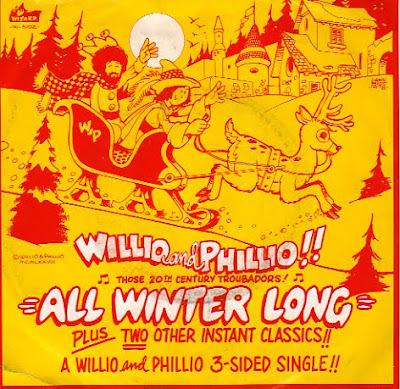 The Idea, fronted by vocalist-guitarist Phil Angotti, contribute the melodic “It’s About That Time,” which describes winter scenes, church bell, carols, and watching It’s A Wonderful Life. It goes on to note, sadly, that the holiday season seems like the only time of the year when “we all have a lot of love to share.” This seems to be the most commercially successful song from Yuletunes; I’ve heard it playing on the overhead sound system at the Woodfield Mall in Schaumburg and at our Jewel food store. I’ll continue with Part Two of my look at Yuletunes on my next post. A special Happy Thanksgiving wish to all who visit this site. 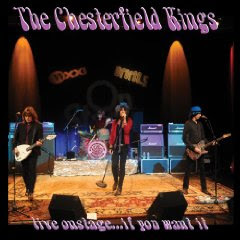 The Chesterfield Kings are often credited with igniting the return of garage rock. There’s a definite early Rolling Stones feel to the band’s guitar-driven music, particularly on Psychedelic Sunrise and The Mindbending Sounds Of The Chesterfield Kings, the two CDs that came out on the Wicked Cool label during the past few years. The newly released Live Onstage ...If You Want It, produced by Ed Stasium, who has worked with The Smithereens and The Ramones, presents acoustic and electric versions of songs from those two albums. It’s available in two versions; a CD/DVD set, and a deluxe LP/CD/DVD. I haven’t had a chance to hear Live Onstage ...If You Want It yet, but here’s a reprint of a review I did of their last album, Psychedelic Sunrise, that originally appeared in the Illinois Entertainer. The Chesterfield Kings have always dug hanging out in the garage, and through much of their new CD, Psychedelic Sunrise, sound like they’re having a Halloween party in there. The New York band sparked a garage rock revival with their full length debut over two decades ago. Founding members vocalist Greg Prevost and bassist Andy Babiuk ensure the Kings continue to mix the 1960s with a dash of punk hostility. The Rolling Stones remain an obvious influence, especially on the rollicking “Stayed Too Long” and the spooky “Spanish Sun,” which evokes “Paint It Black” with an exotic, sitar-driven arrangement. “Elevator Ride” and “Rise and Fall” serve up nightmarish imagery, and Prevost bellows like a heavy metal god on “Dawn.” The energetic “Up And Down” recalls The Ramones, while the fuzzy guitars and irresistible melody of “Outtasite!” celebrate the days of strobe lights and go-go girls. Photo taken from Kingsize MySpace page. This is a review I did for the Illinois Entertainer a while back. Simultaneously releasing a pair of EPs rather than making its debut on a single disc might seem like a marketing ploy on the part of Kingsize, but there’s a certain logic to the L.A. band’s approach. The Good Fight offers scrappy garage rock songs while The Bad Night is a heavier, hard rock affair. Reportedly, Kingsize wants to let these genres duke it out before deciding which one to pursue on its next release. Both CDs offer powerful music anchored by vocalist/drummer Jason Thomas Gordon and guitarist/vocalist Cary Beare. Gordon, grandson of comic actor Danny Thomas is an impressive vocalist who writes streetwise but well-crafted lyrics on songs like the catchy “Miss America” and grunge rock-oriented “Nice Dress Pt. II.” He adds a touch of glam to the hard-rocking stomp of “Rabbits” but also manages to sell the inner city romance of “Elevator.” The swaggering, guitar-driven “Hits For Hypocrites” feels like timeless rock ‘n’ roll no matter what label Kingsize decides to slap on it. The 25th Annual Holiday Sale catalog from The Fest For Beatles Fans was just dropped off at my house by Mr. Postman. It’s a colorful 40-page booklet jammed with dozens of unique gift ideas for avid fans of The Fab Four. Much of the merchandise will be familiar to anyone who has cruised the massive marketplace at The Fest For Beatles Fans, the annual convention run by Mark and Carol Lapidos. Unlike the actual Fest, the catalog doesn’t offer memorabilia from other 1960s bands, rare records, or high-priced art and photography. What you will find is all kinds of Beatles-related apparel, from baseball style caps and knit hats to Swedish imported socks and pink or black shoelaces. You can wipe your runny nose with a handkerchief, dream sweet dreams in pajamas, or flaunt your physique in boxer underwear, all the while proclaiming your love for John, Paul, George, and Ringo. There are four pages of t shirts; some very colorful and imaginative, and others with just song titles printed on them. I could go on about belts, aprons, hoodies, and patches, but you get the picture. The Fest For Beatles Fans catalog also has home decorating options, including blankets, lamps, rugs, and a Yellow Submarine shower curtain. A Limited Edition 9” autographed Ringo Starr figurine, priced at $395, looks to be the most expensive item. You can get a 7” talking John Lennon figure for $20, or spend $33 on a Revolver alarm clock. Toast the holiday season with a Let It Be shot glass or a Sgt. Pepper glass beer mug, and serve snacks on a collectors plate graced with John Lennon’s self-portrait. 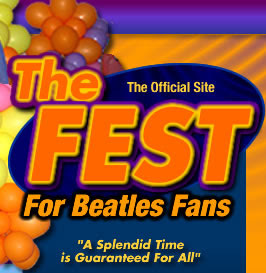 Of course a single catalog can only offer so much, so here are a few websites to help recreate the ambience of the actual Fest and provide more gift ideas for Beatles fans. Beatlesuits.com sells jackets and trousers reminiscent of the outfits the band wore at its performances. Rock Art Show sells art by Lennon, McCartney, and Starr, as well as animation pieces by Ron Campbell, who directed the Beatles cartoon series. The Shannon Gallery showcases some of the best Beatles portraits you’re likely to see. And every Sunday morning, Terri Hemmert, who has served as the Chicago Fest For Beatles Fans ringmaster for several years, can be heard on Breakfast With The Beatles on WXRT. For the especially well-behaved Heartbreakers fan, there’s a UK Limited Deluxe Collectors Edition Multi-Format Box that will include five CDs, a Blu-Ray audio CD, two DVDs, a vinyl LP, and a book. The Deluxe Edition also comes with backstage passes, a reproduction of a poster of the band’s residency at The Fillmore in 1997, and a lithograph reproduction of the fetching front cover, which Amazon’s product description points out was created by artist Shepard Fairey of the Barack Obama “Hope” poster fame. For those who can’t wait to see if Santa (or a generous friend or relative) will reward them with The Live Anthology Deluxe Edition, Amazon is selling it for just over 200 bucks. The release of The Live Anthology brings back memories of an impressive set from Tom Petty & The Heartbreakers I caught when they opened for Elvis Costello at a WXRT sponsored double bill at Chicago’s Riviera Theatre in 1977. Back then, there was some confusion as to what label should be slapped on Petty’s catchy, guitar-driven songs. Critics tended to lump him in with the punk movement, although that was clearly an awkward fit. Writing for a mag called Metro Entertainment Calendar, I described his work as, “music that has its roots in the pop of the 1960s but has been given the harder edge we’ve grown to expect from more modern rockers.” I totally missed the mark in my assessment of Costello, but that was back when I was knee-high to an amplifier. 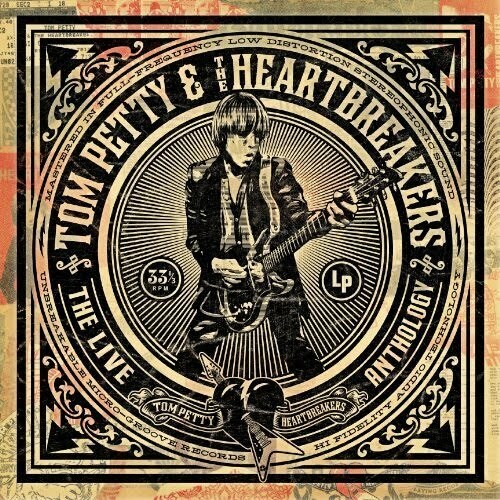 Tom Petty & The Heartbreakers have remained a vital rock band for the past three decades, and The Live Anthology, whether it’s the basic or the deluxe set, is a great way to commemorate that achievement. Incidentally, I was really bummed that I didn’t nab one of the Tom Petty scarves WXRT staffers were tossing into the crowd at the 1977 concert. Now if I find one of those scarves under the tree this Christmas, along with the box set, I’ll know there really is a Santa Claus. Damn Right, I’ve Got The Drumstick! Other artists booked for this year’s all star revue include globe-trotting guitarist Joe Jammer, harmonica player/vocalist Doug Lee, drummer Patrick Doody, and vocalist Deb Seitz. In addition to live music, the evening will include special prizes. SOPRO founders Bud Monaco and Red Rose got their start ages ago, promoting gigs at clubs like Haywires on Chicago’s southwest side. Or as the residents proudly call it, the sout’ side. They’ve since expanded to various suburbs, and a recent booking brought The Chicago Horns to The Joynt Retro Club & Swing Bar in downtown Chicago. Here’s hoping the Annual Thanksgiving All Star Blues Revue carries on the tradition for years to come. Tommy’s Place is located at 12237 S. Western in Blue Island. The phone number is 708-389-7810. This is a reprint of a review that originally appeared in the Illinois Entertainer. Dennis Diken has been drumming with The Smithereens for over two decades, but Bell Sound, the side project he created with fellow New Jersey native Pete DiBella, frequently sounds more like The Wondermints. Nicky Walusko and Probyn Gregory from The Wondermints, the band that backed Brian Wilson on his recent tours, are guest musicians on a couple of tracks. The question is whether they influenced Diken during the recording of Late Music, or if he already had a particular sound in mind and recruited Walusko and Gregory to help make it a reality. The gorgeously arranged “Standing In Line” and seductive “Temptation Cake,” both of which feature DiBella on lead vocal and piano, evoke Pet Sounds era Beach Boys. 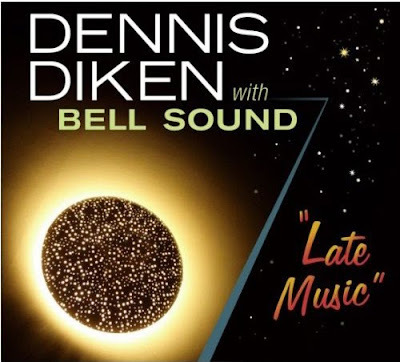 Diken sings lead on the other 11 impossibly catchy tracks and he creates some well-crafted harmonies with DiBella, Walusko, and Gregory. “Let Your Loved One Sleep” offers some fun early morning romance while “Lost Bird” is a fable set to 1960s style lounge music. “The Sun’s Gonna Shine In The Morning” and “Don’t Let Me Sleep Too Long” are energetic tracks that proudly carry on The Smithereens tradition. Long before thousands of aspiring writers around the globe took to the Internet to create blogs about everything from Britney Spears to politicians, many hardworking types expressed their creativity in magazines and newspapers. As dire predictions about the demise of the publishing industry in general continue to circulate, I’d like to honor some of the lesser-known periodicals that have fallen by the wayside. So today, I’m kicking off a new, semi-regular feature here at Broken Hearted Toy. I’ve had this issue of the punk rock ‘zine earotica in my collection for several years, but I have no idea about its history. Published in the summer of 1982, this might have been the first edition, judging from an introduction by editor Ed Weaver, and a column by his co-editor, G. S. Johnson. The bulk of the magazine is devoted to a piece by Johnson (with photos by Sherry Scalise) about one of Chicago’s best punk bands, Bohemia. After a few paragraphs about the group’s records and live performances, Johnson settles in for a Q&A with lead vocalist Carla Evonne, bassist Zirbel, saxophone player/guitarist Fast Frank, guitarist/vocalist Lee D’Buddah, and drummer Mark Wallner. They praise a new generation of Chicago acts like The Effigies, Strike Under, and Naked Raygun, but lament the city’s overly sedate club scene, the lack of support from radio stations, and the need for a local music publication that could wield international influence ala the Village Voice or L.A. Free Press. 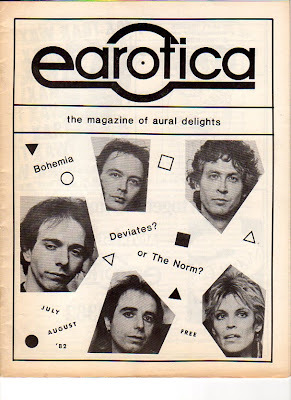 The 20-page earotica has a bare-bones, black and white layout, with a handful of ads on the inside of the front and back covers. Its presentation may not be awe-inspiring, but it evokes an exciting period in Chicago’s history when cutting-edge bands were emerging and low-budget, hip publications were springing up to cover them. 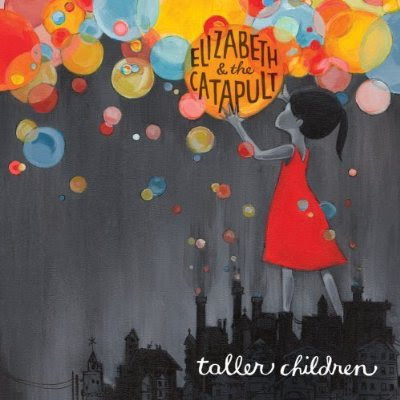 Elizabeth & The Catapult sounds more like a book kids would read than the name of a rock band. So maybe it should come as no surprise that many of the well-crafted songs on the trio’s latest release, Taller Children deal with people who still haven’t adjusted to the adult world. Singer/songwriter and keyboards player Elizabeth Abby Lynn Ziman renders these portraits with sharp lyrics, catchy melodies, and classic folk singer vocals. “The Rainiest Day Of Summer” is an orchestrated tune that somehow evokes the 1940s while retaining a modern edge. “Momma’s Boy” has a ragtime feel sparked by Ziman’s playful piano playing and Maria Muldaur style vocals as she dismisses a beau who refuses to grow up. The quicker paced “Race You” captures the joy of childhood competition, while on the beautiful “Golden Ink,” Ziman sings, “everything is make believe.” The more electric “Hit The Wall” exudes a fighting spirit and “Right Next To You” casts a romantic spell via seductive vocals and a lush, soulful arrangement. The jazz-flavored title track adds yet another facet to Elizabeth & The Catapult’s eclectic approach. The Bangles have recorded the Lowen & Navarro song, “We Belong” for a new album of various artists honoring the duo for its impressive career as songwriters and performers. 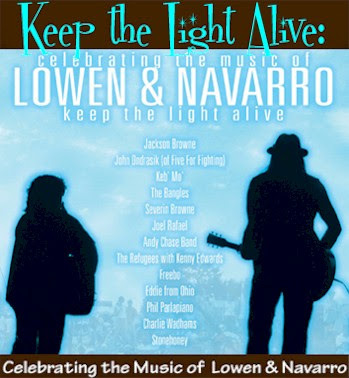 Keep The Light Alive - Celebrating The Music Of Lowen And Navarro draws musicians like The Bangles, Jackson Browne, and Keb Mo’ together in support of Eric Lowen, who was diagnosed with ALS five years ago. The CD is currently available from AIX Records, and will be available on iTunes as of December 10th. Proceeds will benefit The Eric Lowen Trust, ALS Association (Greater Los Angeles Chapter), and Augie’s Quest. In other Bangles news, the band’s “Walk Like An Egyptian” will be “added next week to the Rock Band Music Store of downloadable content for the Xbox 360 video game and entertainment system from Microsoft, PlayStation 3 computer entertainment system and Wii.” I’m quoting directly from The Bangles website because I have no idea what any of that means. I still have 45 records of The Bangles. Still no word about the new CD The Bangles reportedly starting recording a few months back. 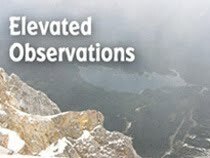 Hopefully, the coming year will bring more info. As R.E.M. takes the stage at the beginning of Live At The Olympia In Dublin, there’s a funny sounding announcement that declares, “This is not a show!” Technically, the statement is true since this new double CD is taken from a series of rehearsal sessions the band held in Ireland back in 2007 in preparation for its upcoming CD, Accelerate. The rehearsals were open to the public, and judging from these two discs, those audiences who packed the house on all five nights got their money’s worth. 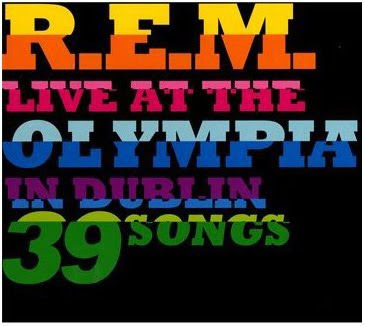 The songs sound pretty much the same as they did on R.E.M.’s albums, with a minimum of jamming. Stipe takes good-natured pot shots as his early songwriting skills, introducing “1,000,000” with the quip, “lot of depth on this one,” and noting before “Kohoutek” that, “I did figure out in the late 1980s that narrative was not a terrible thing.” Still, the band’s earliest songs, such as “Wolves, Lower” and “Gardening At Night” stand the test of time. Ditto for “So. Central Rain,” “Disturbance At The Heron House,” and “Driver 8.” The stark and slow-moving “Drive,” the angular “Feeling Gravity’s Pull,” and the more ornate “Electrolite” are also impressive. Photo of Jerry Bryant from his Facebook page. TV host Jerry Bryant will be honored for his years of promoting independent and cutting-edge music on November 19th when Columbia College, AEMM, and SWIM.RADIO present Keeping It (W) Indie - A Tribute To JBTV. The event, which promises “music, mayhem, and munches,” will be held from 6:00 to 9:00PM at Columbia College’s Stage 2 Theatre, 618 S. Michigan Avenue in Chicago. The entertainment includes Lester Jay and The Company, Mike Locke & Josue El Diligente, DJ Arkitek, and other special guests. You can send an e-mail to SWIM.RADIO@yahoo.com to RSVP or find out more information. 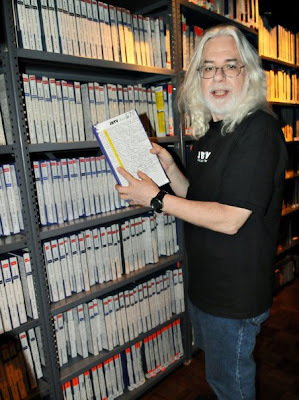 Bryant has been doing JBTV for 24 years, starting out on Chicago Cable Access TV. Throughout the history of his show, he has aired videos; presented live performances in the studio; and interviewed countless musicians, including Billy Corgan, Jeff Buckley, Pearl Jam, Joey Ramone, Radiohead, Henry Rollins, Juliana Hatfield, and P.J. Harvey. Bryant takes an amiable approach that puts his guests at ease and results in some fascinating insights into their music. JBTV nabbed a Regional Emmy for Outstanding Achievement, Entertainment Programming in 1995. JBTV remains a Cable Access TV staple, and can also be seen on HDTV WJYS Ch 62-2. There’s an online site that offers new interviews and live performances on a regular basis. A search through its archives uncovers a treasure chest of performance footage. I recently watched a clip of Material Issue performing an acoustic version of “Merry Christmas Will Do” that underscores just how much we still miss Jim Ellison. JBTV has a MySpace page where Bryant spotlights upcoming acts like the all-woman band Sick Of Sarah. Regardless of whether it’s on television or online, JBTV is a great program that deserves a wider audience and a stable future. Hopefully, the upcoming tribute will help achieve that. Following up on my post last Friday suggesting that Ellen Degeneres join forces with Little Steven Van Zandt to promote power pop and garage rock music, I have started a Fans Of Power Pop And Garage Rock Music Who Watch Ellen group on The Ellen Degeneres Show Community page. Please feel free to join. I also sent e-mails to Ellen and Little Steven, explaining my plan. 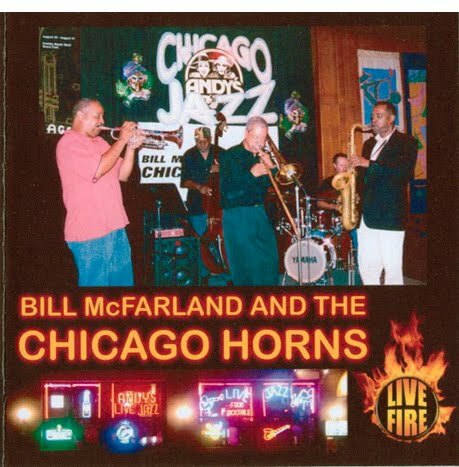 In the meantime, here’s a review I wrote for the Illinois Entertainer a few months back, on the 2131 South Michigan Avenue 2-CD set. It’s being shown here with the magazine’s permission. 2131 South Michigan Avenue - 60’s Garage & Psychedelia from U.S.A. and Destination Records is a two CD set that serves as a sort of Windy City version of Nuggets in the way it digs up long-lost treasures. It harks back to the days when WLS fueled a thriving local music scene by playing bands who were signed to Chicago-based indie labels. 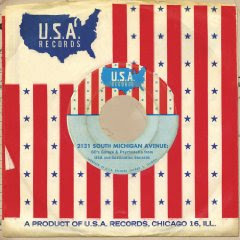 U.S.A. Records, which initially concentrated on R&B, eventually signed so many garage rock acts, it needed to create a second label, Destination to handle the load. Oscar Hamod & The Majestics create an infectious R&B groove for “Soul Finger” and Gary and The Knight Lites (later to become The American Breed) sound like a Motown act on “I Don’t Need Your Help.” The chiming guitars on The Sheffields’ “Do You Still Love Me” evoke The Byrds, while Lord and the Flies and The Cherry Slush experiment with more psychedelic sounds. Several tracks, like “Come With Me” by The Boyz, “Time To Dream” by The Lost Agency, and “I’ll Make You Pay” by The Shady Daze, exhibit the unbridled energy of classic garage rock that acts like The Chesterfield Kings and The Urges still champion today. 2131 South Michigan Avenue is also an archive of Chicago bands who went on to longer lasting, national success. There’s a track by The Cryan Shames called “Ben Franklin’s Almanac,” while The Buckinghams’ cover of the blues classic “I’m A Man” is considerably rougher than their Top 40 hits. The Flock, who would record more progressive albums on the Columbia label, are represented with the pop-oriented “Are You The Kind.” Amazingly, not a single track on this compilation is a clunker. That’s either a testament to Chicago area bands of the mid-1960s or the folks who put *2131 South Michigan Avenue* together. Or both. Ellen & Halle Berry photo from The Ellen Degeneres Show Facebook page. Ellen Degeneres came to Chicago today to join Oprah Winfrey on Michigan Avenue, where they autographed copies of the O Magazine that features both of them on the cover. It was a high-profile finale to a comic quest that Degeneres cooked up months ago on her daytime talk show. Both of these media stars are known for their generosity, and it’s likely this publishing coup will result in even more prizes and money for an American public that could definitely use some cheering up. But now it’s time for Degeneres, who earlier succeeded in luring George Clooney onto her show, to take on a new challenge. One based on something she loves: Music. Every episode of The Ellen Degeneres Show kicks off with Degeneres dancing with audience members to tunes cranked out by her onstage DJ Tony Okungbowa, and later, there’s usually a live performance from a current recording artist. She often dances and sings with her guests. Degeneres is no kid anymore, but she still thrives on cutting edge, energetic music. Generally, she leans toward rap and hip-hop, judging from her show, as well as her brand new online music page. Maybe Degeneres could also give some props to garage rock and power pop. Like hip-hop, these often overlooked sub-genres of rock and roll provide a powerful incentive to move your feet and groove to the beat, and exude a certain underground mystique. Garage rock and power pop songs rarely make the charts, but bands like The Chesterfield Kings, Cheap Trick, and Fountains Of Wayne could open an exciting new world to Ellen viewers. Just as Degeneres teamed up with Winfrey, she could join forces with Little Steven Van Zandt, who hosts the syndicated Underground Garage radio show. He could share his garage rock and power pop expertise with her, while her media savvy could result in a much wider audience for the bands he so valiantly champions. Imagine The Len Price 3 or The Urges rocking the house on The Ellen Degeneres Show. Of course, Tony could stay, but hopefully he’d mix in an occasional “Gloria” by The Shadows Of Knight or “Blood & Roses” by The Smithereens. Van Zandt is aiming to launch an ambitious interactive website called Fuzztopia early next year that would enable bands to promote their music by posting profiles, videos, and songs. Degeneres is genuinely passionate about helping people and fostering creativity, so this would be right up her alley. And wouldn’t be great to see her and Van Zandt sharing the cover on magazines like Rolling Stone, Q, and Mojo? On their 2007 debut, Mastermind, the Cocktail Slippers sounded like they couldn’t decide whether to aim for a highly commercial sound or follow the less financially secure garage rock path recommended by their mentor, Little Steven Van Zandt. The result was an uneven and at times, timid effort from this promising five-woman band from Oslo, Norway. This year’s Saint Valentine’s Day Massacre, once again on the Wicked Cool label, is much stronger. “Sentenced To Love,” a punchy, garage rock song filled with clever legal metaphors, kicks off the disc in an energetic fashion. “Heard You Got A Thing For Me,” which sports a light and exotic arrangement, is another Van Zandt composition. “Don’t Ever Leave Me” is a successful update of the 1964 Connie Francis hit written by Ellie Greenwich and Jeff Barry. The Cocktail Slippers allude to Greenwich’s “Da Doo Ron Ron” on their own hard-edged song, “You Do Run.” “She’s A Fool,” originally recorded by Leslie Gore, is another golden oldie that Cocktail Slippers make their own. Saint Valentine’s Day Massacre hasn’t earned the Cocktail Slippers megastar status, but it’s a definitely a well-crafted effort.